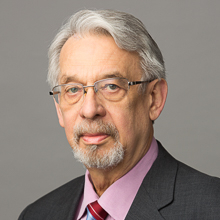 Firm Partner Donald W. Rupert, and other members of the faculty of the National Institute for Trial Advocacy (NITA), will conduct a 3-day CLE program on deposition and pretrial skills at the Loyola University Chicago School of Law. NITA is the nation’s leading provider of legal advocacy skills training. Students in the program range from relatively new attorneys to those who have been licensed for some time. The program is designed to provide a strong framework for basic techniques, and explores a variety of questioning methods. Participants also learn to theory-test on subjects of importance to the case, and receive supportive suggestions on how to improve performance, utilizing frequent repetitions in the learning-by-doing method. A portion of the program is devoted to ethical considerations in deposition settings and witness preparation. This program is approved for 16 CLE credit hours.